The Petty Assembly of the Alleged Learned (MANU), that is, our autochthonous “tiny group,” has recently denuded us completely. With the latest encyclopedic gaffe and the subsequent debate, this senior institution of impartial scientists dedicated to the search of truth through facts and cradle of progressive thinking and real values has removed the carpet of several aspects of the [FYR]Macedonian social discourse, so, naturally, the carpet began to reek. First of all, these developments indicate that interethnic relations have not been healed, especially among the ethnic [FYR]Macedonians. 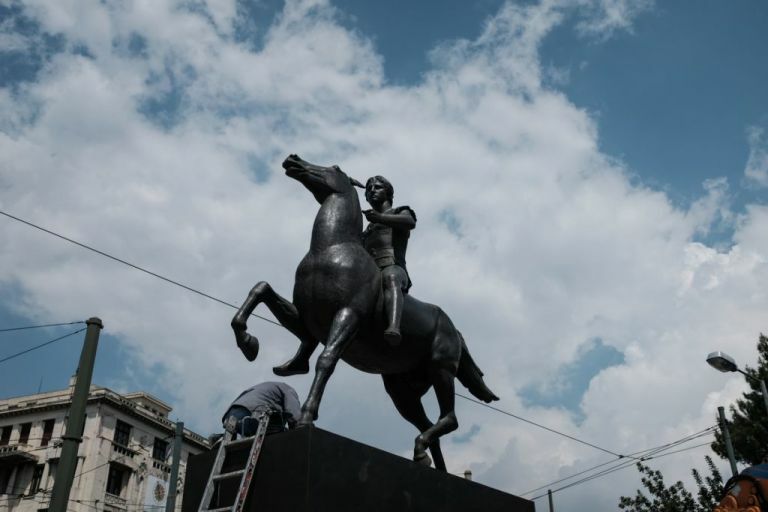 This attempt to impose such an ethno-xenophobic interpretation of [FYR]Macedonian history definitively reveals that the ethnic nationality complex is still present to a great extent. The irritated reactions of the Albanian centers of power merely enhance this impression, which all in all indicates that, if we are left to ourselves, we are more likely to strangle each other than to associate..
Second, the entire hullabaloo makes us draw yet another significant conclusion: There is a relapse of the nationalism that was inflamed in 2001 and it is incorporated in some official academic and state circles that believe that actual coexistence with the Albanians is impossible. Following the 2001 thesis on swap of population and territories, MANU further confirms this conclusion with its latest debacle. The exclusion of ethnic Albanian scientists from the process of writing, defining, and promoting theses indicate that this policy has not been put ad acta, but, on the contrary, is still vigorously debated and considered at the highest level. Moreover, it is obvious that this phenomenon is a natural consequence of the expansion of aggressive and xenophobic nationalism, wrapped up in patriotic populism, which has been promoted through the media and formal discourse for quite some time now. The aggression in the process of resolving the name dispute, the self-destructive lapses when naming stadiums, airports, and highways, along with the entire series of advertisements in support of our ancient roots and the newly processed history are inevitably reflected in the scientific discourse related to these topics. Of course, our “tiny group of elite scientists for the masses” rushed to take the lead in this vulgar and basically anti-patriotic populism. Since everyone else does it, why can they not? The overall commotion over the encyclopedia signals some other, profounder and more crucial problems. 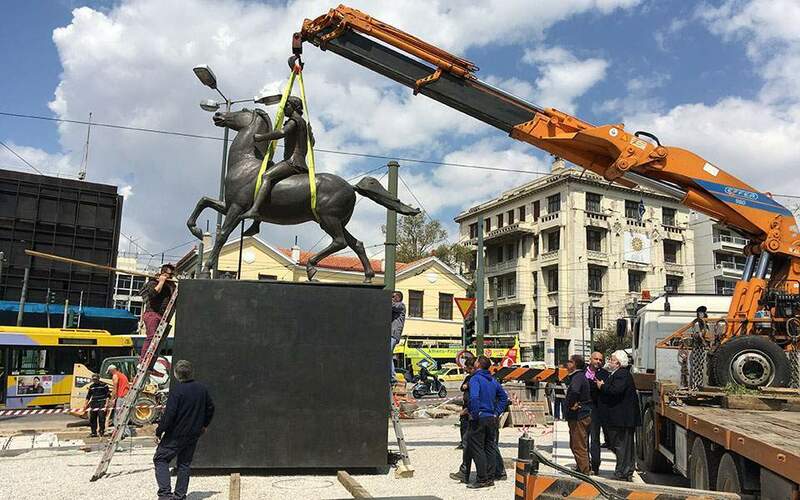 The first is obvious: The [FYR]Macedonian national identity is being lost with every passing day. 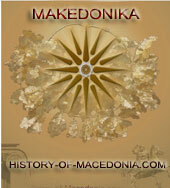 The ruling elites’ tries to impose a new interpretation of our roots, accompanied by the intensive copying of our provenance and making it ancient, are in direct correlation with the current debate of “ancient or Slavic.” As a result of this dissonant argument, the [FYR]Macedonian identity’s spine has already been broken. Our national conscience tries to accept and process all the claims on our origin without the possibility to reject them, just like an amorphous brain. This results in a banal statement that, strangely enough, is close to the present definition that we are ancient-Slavic, Goce’s-ASNOM [FYR]Macedonians who emerged about 200,000 years ago, before the first ameba appeared on earth. There is only thing for sure here: We are less certain of our own identity now than before we started defending it. 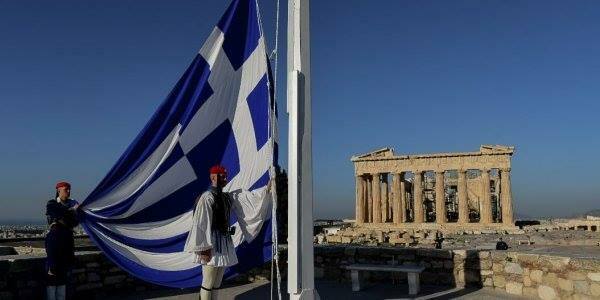 I do not know how we are going to find common grounds with Greece when we cannot find common grounds with ourselves.. So, for Heaven’s sake, do not defend us! Perhaps the saddest thing here is the anesthetic reaction to this gaffe in the official sociopolitical discourse. With the exception of a few intellectuals, it is the general impression that those who are most responsible to protect our democratic and scientific values, that is, the political actors and the scientific institutions, have reacted either wrongly or feebly. This is even more terrifying if we bear in mind that our society’s capacity to develop multicultural democracy is not reflected in its ability to prevent incidents — since fools have and will exist — but the absorption power of our multiethnic dialogue to receive and process these incidents and emerge stronger after this experience. Our civic society has completely failed the exam in this field. On one hand, the “official” political line plays the “I-do-not-know-anything” scenario. The same people who openly launched the encyclopedia and praised it as a thorough scientific work now either confess to not reading the book that they praised or evade responsibility for this. This clearly indicates that they are not ready to learn a lesson from the debacle. On the other hand, the numerous scientific institutions keep quiet in a noisy manner, while flirting with their MANU colleagues. Still, the reactions of the parties, that is, those who aspire to being gurus of our multicultural, tutti-frutti state, are most defeating. As it was expected and obvious, instead of focusing on this problem, they started accusing each other and, instead of offering a solution, they are dealing with who is to be blamed for this. The government thus shows that it is in principle in the line with MANU, whereas the opposition, rather than offering “solutions,” hints with its behavior that it is still not immune to the primitive populism that it eagerly wants to defeat. This is one of the crucial problems in the [FYR]Macedonian political discourse in general: The parties communicate only with each other and not with the public. The public is merely watching a ping-pong match. I think that, if it were not for the IRI [International Republican Institute] and its regular opinion polls, most of the parties would not be aware of the position of the majority of citizens on the key national priorities, not to mention any more significant reforms of this discourse. “The irritated reactions of the Albanian centers of power merely enhance this impression, which all in all indicates that, if we are left to ourselves, we are more likely to strangle each other than to associate…”. The problem is easy to explain. 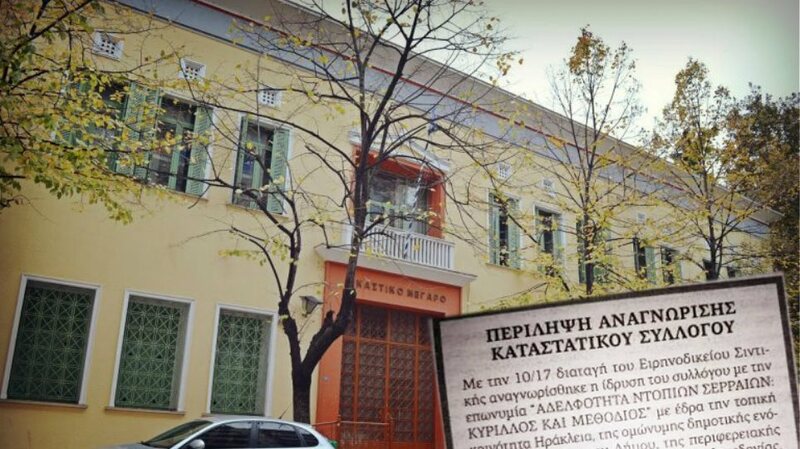 [FYROM] Macedonia works as multhietnic state only when gets taxes or investments. When it comes to resolve the interethnic problems everything get lost and works only for 65% of national majority. Just to remind you 8 key points of Ohri agreement are been forgotten and now that agreement result in a dead agreement. I’m not happy for what is happening because in one or two states we will be always neighbors. But if we want to live together in one state, first of all we should build confidence and respect for each other. Every citizen of this country should feel that this is his country. Encyclopedia of MANU is the last thing i care. That was one symptom of that is called not tutti-frutti state but mono-fruit megalomania. Anyway I hope e new day is coming after a such long night.